Do you take sugar with your coffee? This luxe lip scrub is blended with pure coffee bean essential oil, organic pure cane sugar and organic honey to soften lips from dryness. 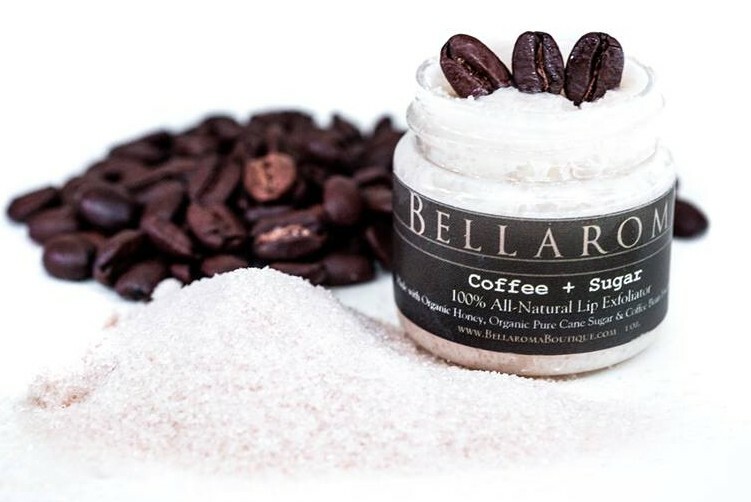 This lip exfoliator has a rich aroma of medium roasted coffee beans and has a natural hint of coffee and sugar to taste. It makes a fabulous pair with our "Potted Coffee + Cream Lip Melt"! Massage a small amount onto the lips using gentle circular motions. After scrubbing, wipe away excess scrub and pucker up! IT MAKES A FABULOUS PAIR WITH OUR "Potted Coffee + Cream Lip Melt!" Warning: Due to this product being 100% all-natural, it will melt in hot weather conditions. Please store in cool place to prevent the balm from melting. If by chance your lip butter does melt in transit or in your purse on a warm day, just pop it in the fridge until it becomes solid again. No worries!